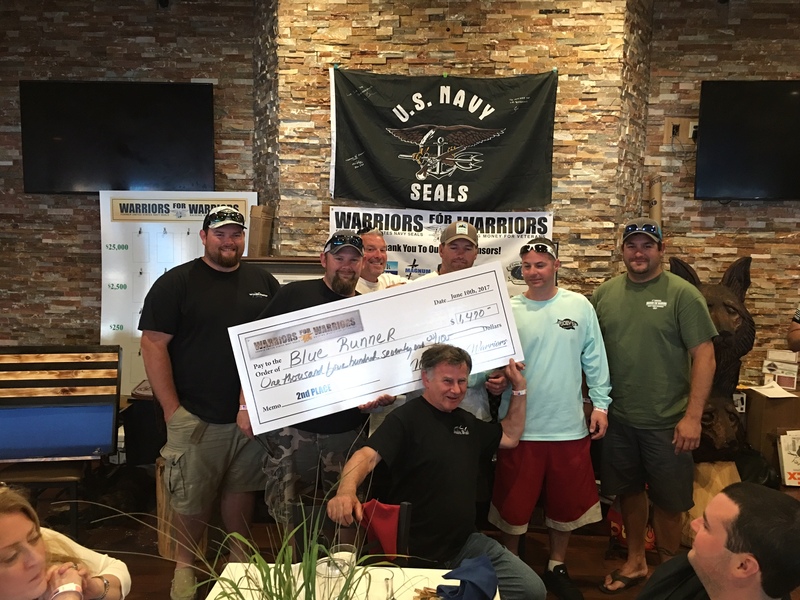 Congratulations to the Winners of the 2017 Warriors for Warriors Charity Shark Tournament. 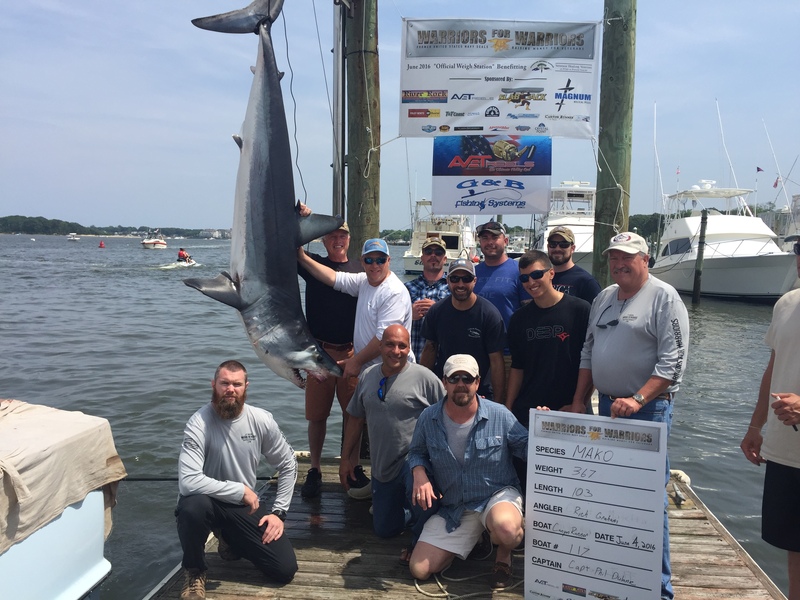 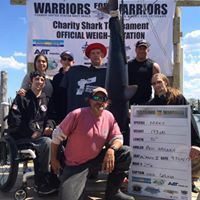 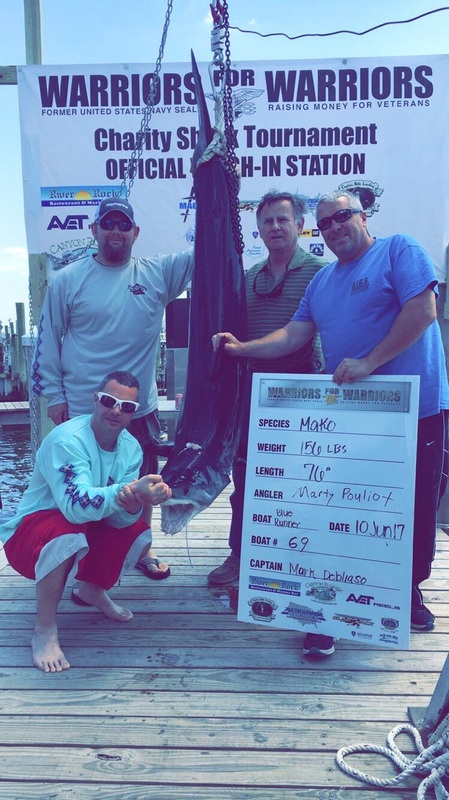 The Mixed Bag and Thresher calcuttas were won with a 442# Thresher caught on "Uneffinbelievabil"
Blue Shark Calcutta winner is "Uneffinbelievabil" who's name was drawn from a hat. 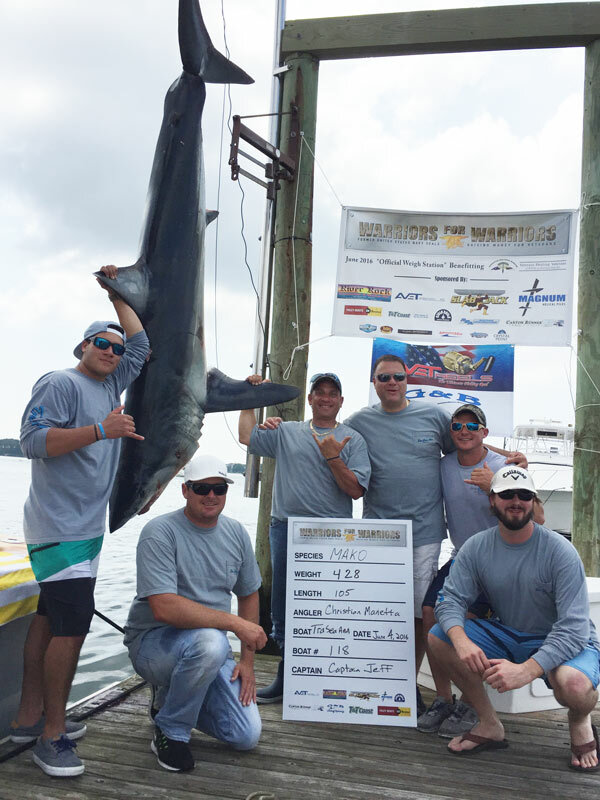 Congratulations to the Winners of the 2016 Warriors for Warriors Charity Shark Tournament. 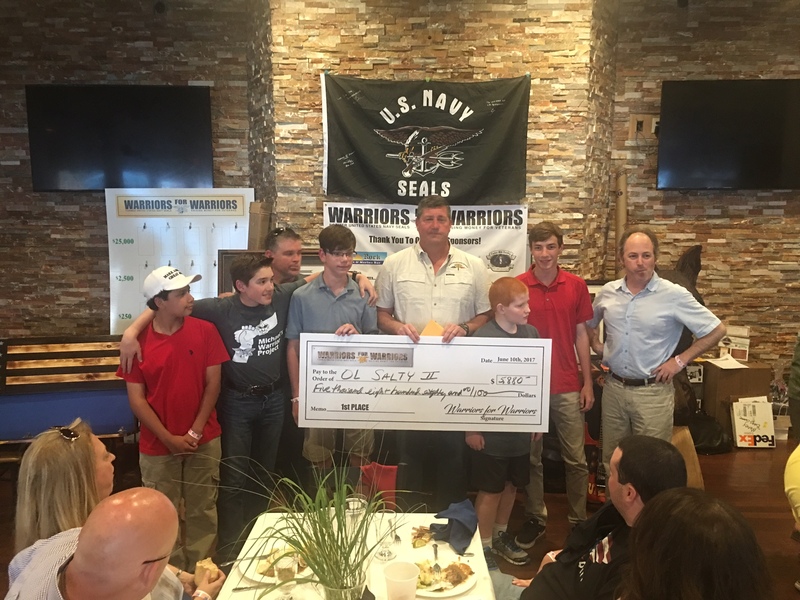 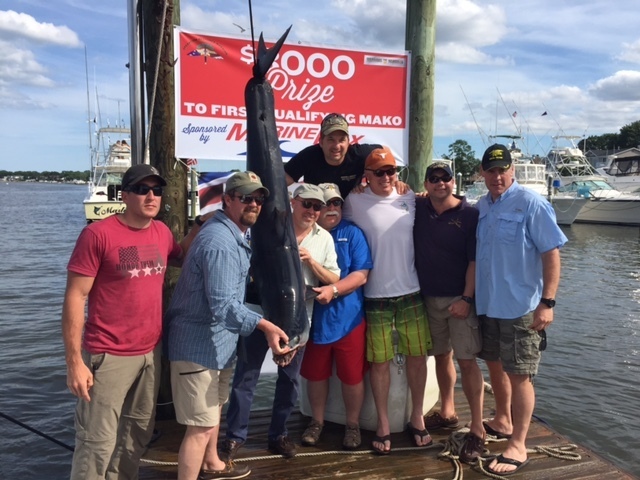 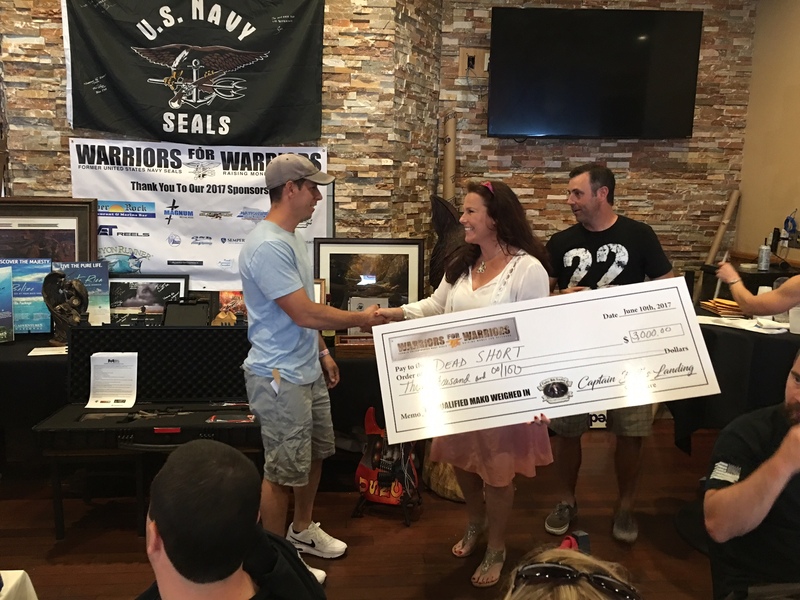 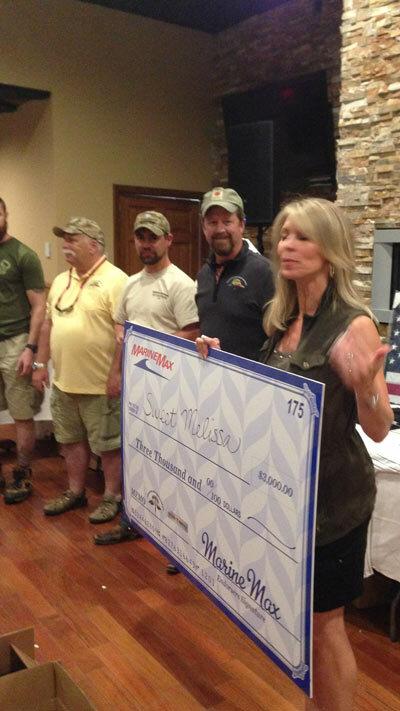 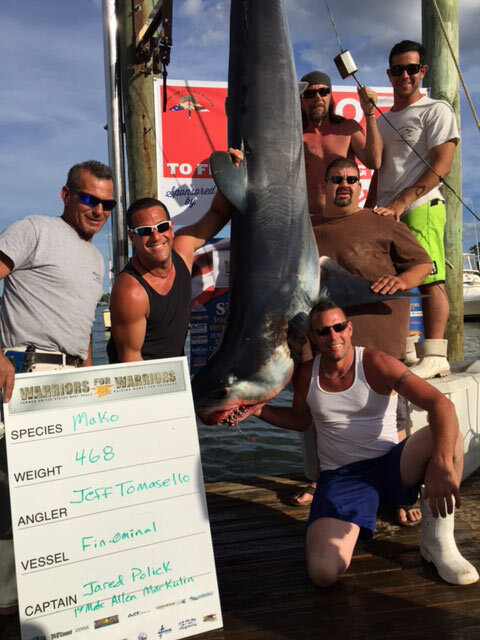 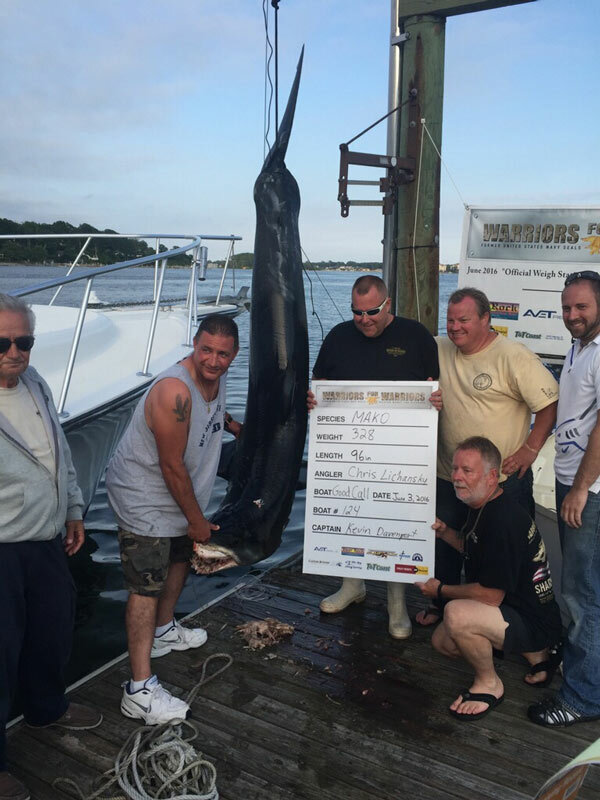 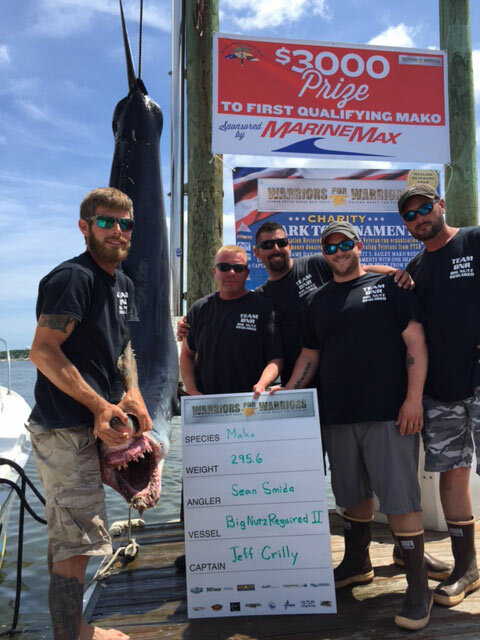 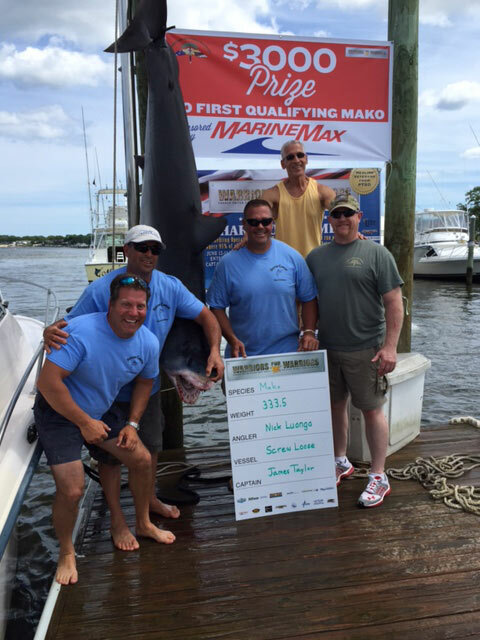 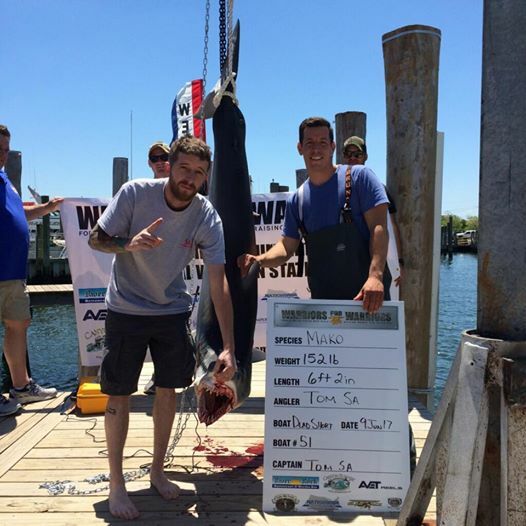 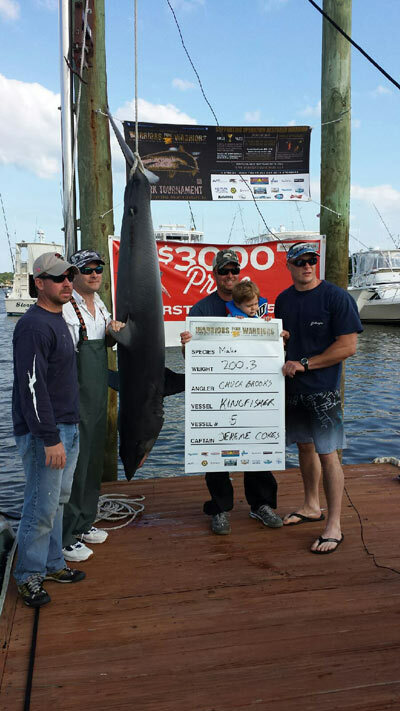 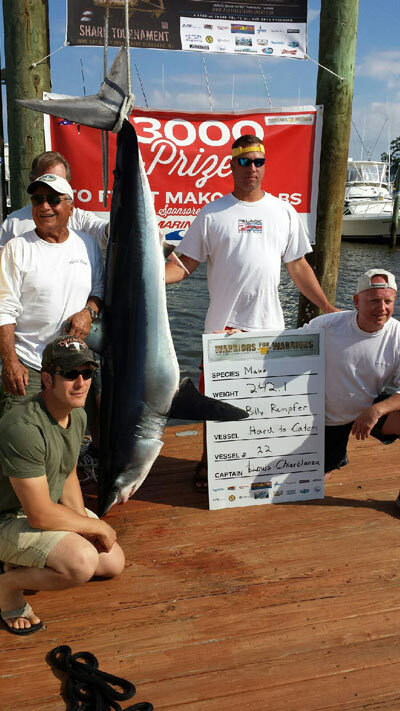 Congratulations to the Winners of the 2015 Warriors for Warriors Charity Shark Tournament. 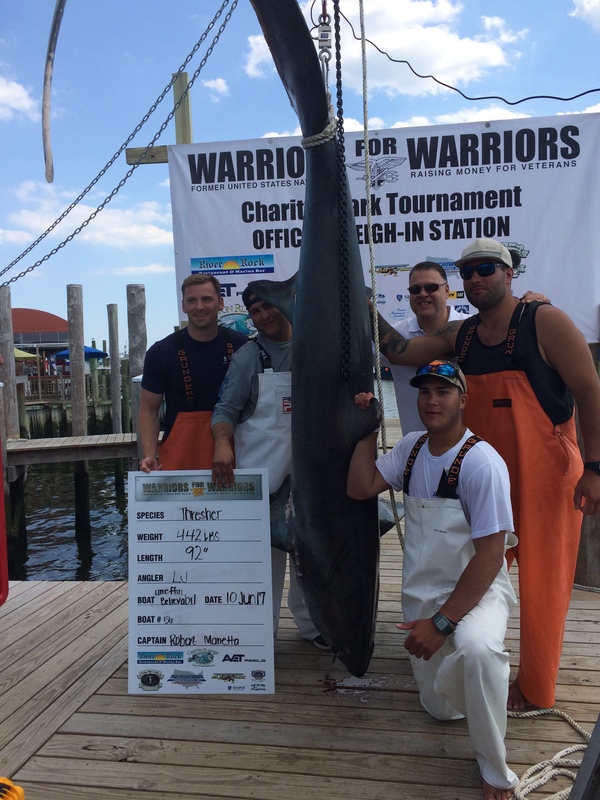 Congratulations to the Winners of the 2014 Warriors for Warriors Charity Shark Tournament.